IBUs: One website I found said 80 another one said 50, was not on the Barley Brown website. I was out at Uptown Market with some friends and heard someone order half a Barley Browns Pallet Jack since he was going to be leaving soon. I almost did a spit take, since I have been trying to find this beer for almost a month and have had no luck. I had just ordered a beer that I would soon severely regret, both because it was terrible and because it kept be from a Pallet Jack all the way through the entire unbearable beer. A (3/3): Very clear orange-ish beer with a fine white head. Nothing special to see here but honestly that's not what we're here for. 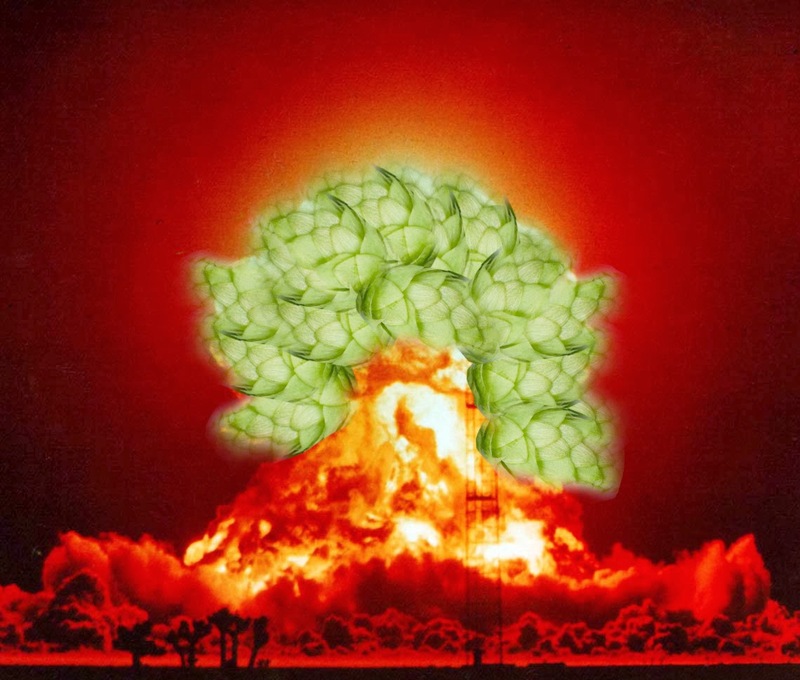 S (12/12): Naso-Nuclear attack on the senses this hop-splosion was just incredible. I sat and smelled this beer for like 5 minutes before even taking a sip. The aroma is complex and and intense with smells of pine, spruce, tropical fruit and grapefruit. Such an aggressive nose on this beer Whitney was commenting about my breath being so hoppy after drinking it. I was passing this beer around to everyone at the table wanting them to experience the hop-splosion that I was experiencing. I could tell that people were starting to get annoyed about the third or fourth time I suggested they smell it. Probably the most fragrant and aromatically intense beers I have ever had. T (18/20): The first sip is not what I expected, much sweeter that would be expected, still heavily prejudiced towards the hops. The aroma transitions into the flavor without skipping a beat. Pine, spruce, tropical fruit and grapefruit are back with a vengeance along with the 2-row barley and crystal malts to perform this balancing act. This beer is heavily hopped with a blend of Columbus, Citra, Amarillo, and Simcoe Hops. M (5/5): Medium bodied with a smooth carbonation and a smooth finish. Incredibly easy to drink, no residual biting bitterness, really a pleasure to drink from start to finish. O (9/10): One of the best IPA's I've ever had. I can understand why this has won the coveted GABF Best IPA award. Really a pleasure to drink. This beer didn't get 50/50 because I'd like to think that there is something better out there even if I may never find it. But I can't think of a single way this beer could be improved.